Poor Emma Rose, I look very imposing there !! 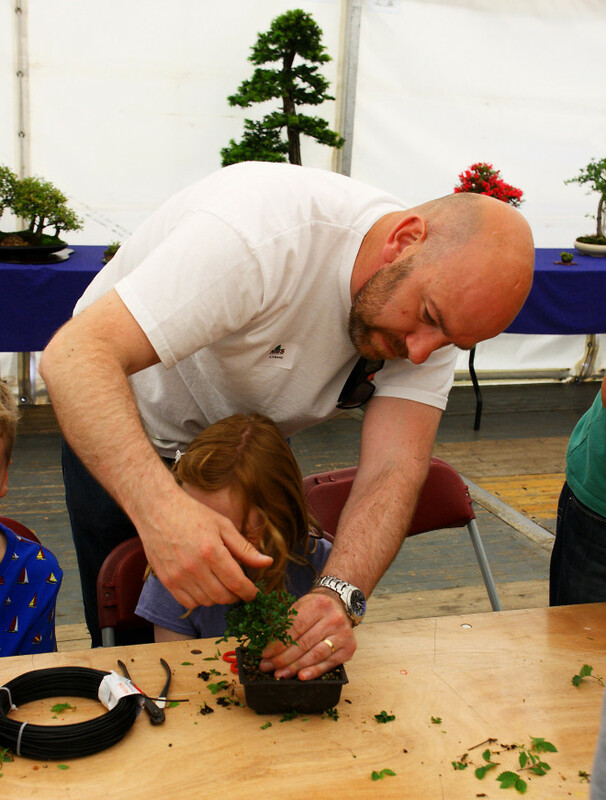 Yes it’s a pic of our club chairman/dogsbody Ian Y sporting his mid life crisis designer stubble at the kid’s corner during the Bonsai Experience on Saturday past. He mumbled something to me about needing a transplant but I didn’t really understand what he was saying.